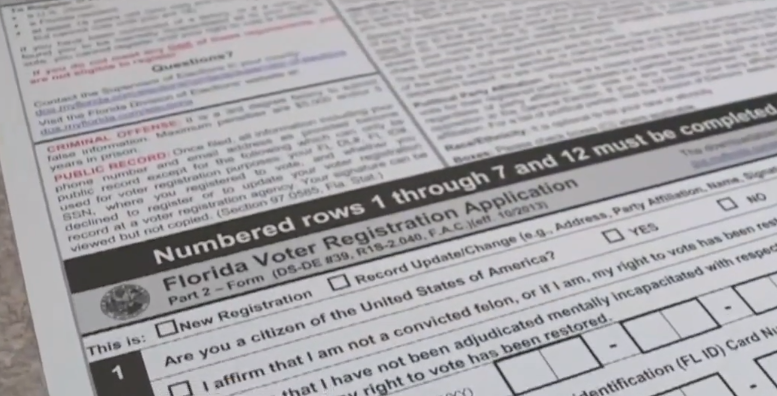 "When you go to jail you're nobody," one man registering to vote said. "Everything is gone. You come out and you're treated like nobody. So anything that I can get to make me feel like somebody I'm grateful for." Now, a felon who did not commit murder or a sexual offense and who has completed their sentence in full can register to vote. From there the state will review the submission and approve or deny the application. Palm Beach County Public Defender Carey Haughwout says her office will help ex-offenders check to see if the terms of their sentence has been completed. Haughwout said court costs should not be included in those terms. "When it's fees and costs that have been reduced to a judgment those are not part of a sentence and we feel very strongly that that needs to be how the law is interpreted otherwise what we are going to do is disenfranchise poor people," she said. Though there may still be some bumps in the road. Anthony Rayhoskins says he's already making plans for his voter identification. "I'm going to put it in my wallet I'm going to laminate it," he said.